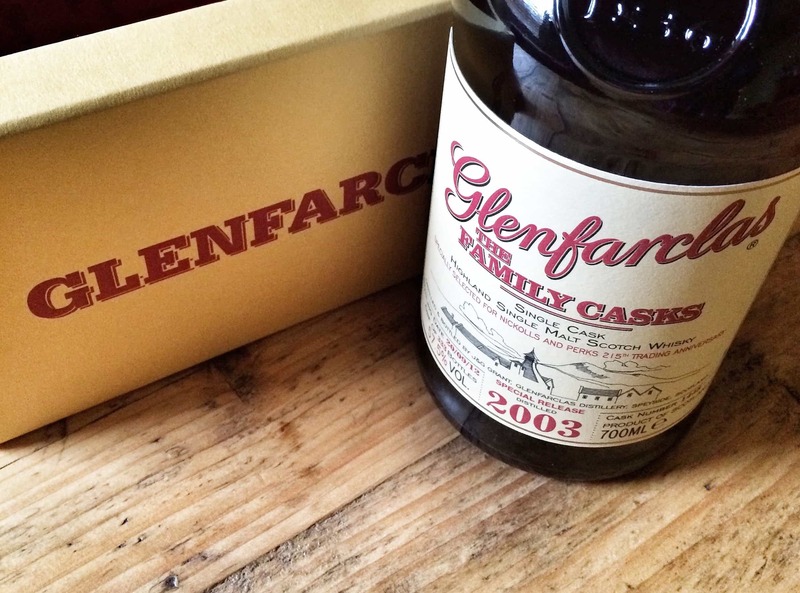 Glenfarclas is one of those really dependable distilleries. 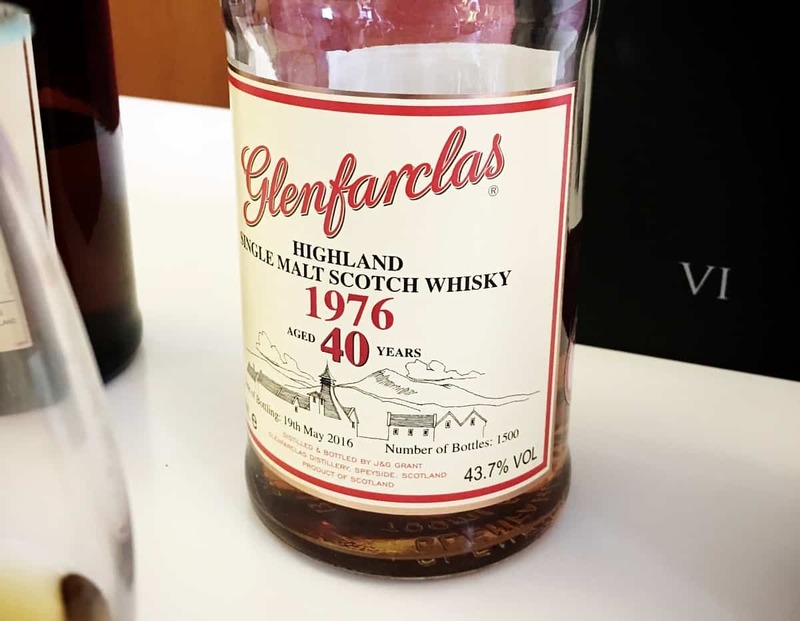 I’ve long been a fan of the Glenfarclas 15 Year Old and, though I’ve only tried a couple of the others in the range (most of which have spent their lives in sherry butts) I’ve always been impressed with the quality of their whisky. Glenfarclas has got a certain level of sophistication – a bottle has even appeared in an episode of Frasier, so it’s got to be classy. Located in Speyside, Glenfarclas was founded in 1836, and is still today one of Scotland’s few family run distilleries, which gets extra points in my book. Even more so, they keep everything on site in their thirty warehouses. Plenty more about the distillery over at Malt Madness, if you want to look it up. Finally, nothing to do with the whisky, but just check out that stylish, retro logo. It’s remained unchanged long enough to become fashionable once again. 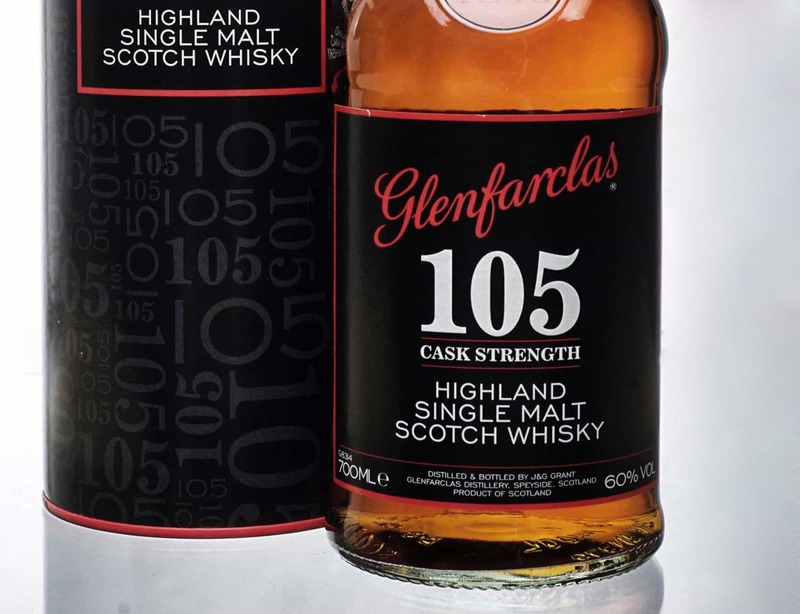 Onto the Glenfarclas 105, which is a cask strength offering from the distillery – bottled at a mighty 60% ABV. Colour: somewhere between rose wine and amber. On the nose: a thick cloying sweetness, mixed with a citrus bite. The golden syrup fades. At a distance, more tropical notes. Grapefruit, orange, fennel. Vanilla. Almost overwhelming at this strength. A drop of water allows something more floral to follow. In the mouth: a thick and chewy molasses develops into something very woody, string oak flavours; brine towards the end. Back in and there’s so much more: treacle sponge, black pepper. A little dry, but still with a faint oiliness. Dried apricots. A remarkable structure, a wonderful presence in the mouth. Sweet sherry and cinnamon on the finish. Though not as good as the 15 Year Old, at around £40 a bottle this is quite simply superb value for money. If for whatever reason you fancy trying a cask strength whisky, make sure you get this one first. A great introduction to stronger whiskies whilst really capturing and amplifying whatever it is Glenfarclas do. Bravo!